BouncePath tells stories that celebrate your successes. We craft them to align with your unique voice, culture and well-defined goals. As story fanatics, we’re radical in our thinking, yet disciplined in our approach. We’re methodical in our processes, yet flexible enough to color outside the lines. We’re versed in digital communication, yet know the value of a handshake. 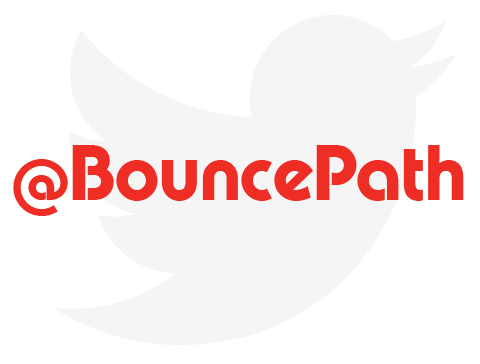 BouncePath listens with intent to understand your business and how you define success. And then we work with integrity and sensibility as your fanatic to share your story. Strategy chronicles our every chapter. It elevates visions, builds brands, develops leaders, influences communities and inspires action. BouncePath starts here to ensure your marketing and media solutions are objective-focused, creative, timely and budget-conscious. Brand is the personality of your story. It’s a strategic asset with long-lasting impact that reflects your voice and culture and shares your story with style and dimension. It resonates with your listeners and positions you as the industry leader you are. We believe a good story deserves to be shared. Our proactive and strategic media solutions generate buzz and establish credibility. As story fanatics, we utilize a variety of tools — both traditional and social channels — to boost your visibility and capture your audience. Human connection nurtures your story. Whether it’s under disco balls, around the table or atop a building, events bring your story to life. BouncePath visualizes, plans, schedules and hosts, so you can grip and grin or have a ball with ease!